Cowboys Break: What's The Rush? Cowboys Break: Momentum or Confidence? Cowboys Break: How Healthy Is This Team For Tampa? Cowboys Break: Pro Bowl Snubs? Cowboys Break: What Just Happened? Cowboys Break: Luck Running Out? Cowboys Break: Surprised or Shocked? Cowboys Break: Getting the W? Cowboys Break: Flipping the Script? Cowboys Break: Preventing 2017 Again? Cowboys Break: The Biggest Key To Atlanta’s Offense? Cowboys Break: Zeke or LVE? Cowboys Break: Passing the Test? Cowboys Break: Changing of the Guard? Cowboys Break: Who to Blame? Cowboys Break: Change of Pace? Cowboys Break: Changes Need For O-Line? Cowboys Break: Game Management in D.C.? Cowboys Break: What is the Future for the Offense? Cowboys Break: Need To Trade For a WR? Cowboys Break: Who’s For Real In The NFC? Cowboys Break: Is This Offense For Real? Cowboys Break: Is Help on the Way? Cowboys Break: Right Choice to Punt in OT? Cowboys Break: Is Houston's Defense Still Legit? Cowboys Break: What Went Right Against Detroit? Cowboys Break: Time to Hit the Panic Button? Cowboys Break: What Went Wrong in Seattle? Cowboys Break: Is Dak Up to the Task? Cowboys Break: What Went Wrong in Carolina? Cowboys Break: 0-3 Preseason a Cause for Concern? Cowboys Break: Time to Panic About the O-Line? Cowboys Break: Gathers & Gregory Starting? Cowboys Break: What Stood Out in SF? Cowboys Break: Safe at Safety? Cowboys Break: Biggest Challenge In 2018? Cowboys Break: Who Leaves The Biggest Void? Cowboys Break: Ready For A Youth Movement? Cowboys Break: Why Not Draft A Safety? Cowboys Break: Will Dez Affect The Draft? Cowboys Break: Investing More In The O-Line? 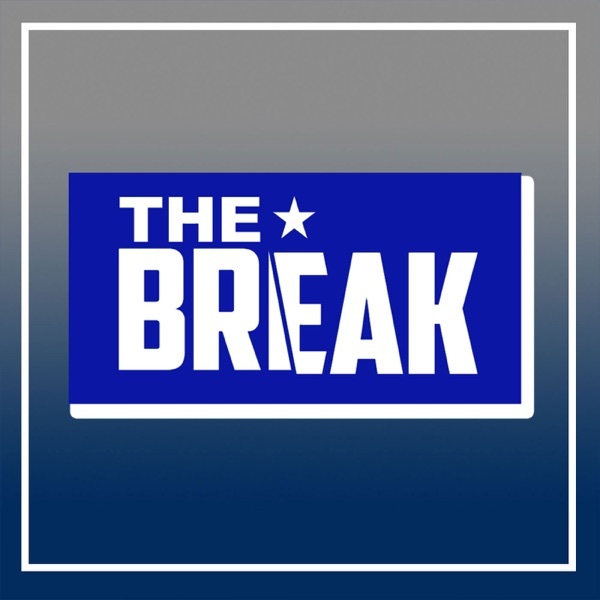 The Break: Hurns In...Dez Out? Cowboys Break: Improving In Free Agency? Cowboys Break: Making Money Moves? Cowboys Break: Making The Right Changes? Cowboys Break: Should Starters Play In Philly? Cowboys Break: Did Zeke Handle The Media Right? Cowboys Break: Biggest Position Of Need? Cowboys Break: Who Makes The Pro Bowl? Cowboys Break: Need More Playmakers? Cowboys Break: What Went Wrong vs. PHI? Cowboys Break: What Went Wrong vs. ATL? Cowboys Break: Can Atlanta Stop Dak & Co? Cowboys Break: Who Gets The Most Carries? Cowboys Break: Scared About The Chiefs Offense? Cowboys Break: Why No Trades? Cowboys Break: What Went Wrong vs. GB? Cowboys Break: What Went Wrong vs. LAR? Cowboys Break: How Good Is LA's Defense? Cowboys Break: How Good Is The Arizona Defense? Cowboys Break: Concern After Week 2? Cowboys Break: First #VictoryMonday Of The Year! Cowboys Break: Better Off Than Last Year?